Ialoni was formed in 2009 in Tbilisi, Georgia. 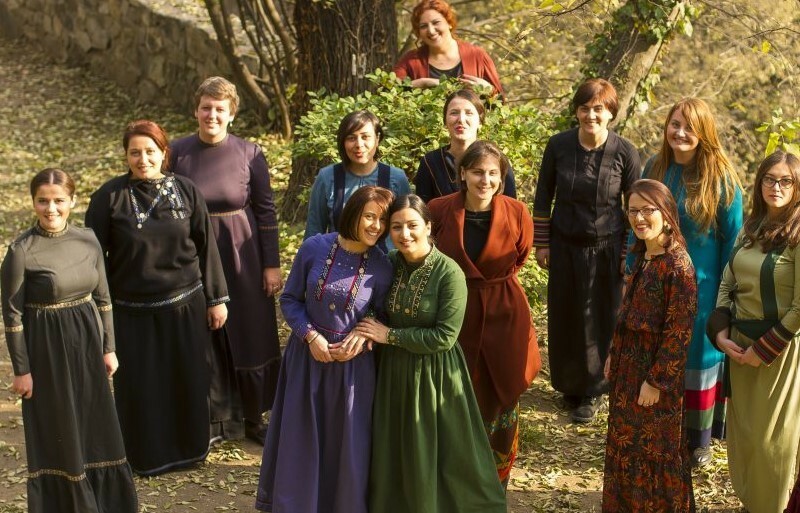 Their repertoire includes all three streams of Georgian Traditional Vocal Polyphony: ecclesiastical, folk and city music, with works deep in the folklore traditions of Georgia, with an emphasis on reviving and reinterpreting both unusual and original forms. In 2016, Ialoni won the 1st prize in the category of Women’s Folk Ensemble of Georgia, at the country’s National Folklore Festival. This entry was posted in Music in Norwich, Norwich, Uncategorized, what's on in Norwich and tagged concerts in norwich, music, music events in norwich, what's on in Norwich. Bookmark the permalink.